It is now that time of year when many of us have a Turkey Carcass left from the Family Holiday Dinners. What do we do with this? We make Stock out of it which we can use for Soup, Stews or Gravy. Take that carcass and put it into your largest pot along with an Onion (with the peel on), Some freshly washed Carrots, (unpeeled) and the top of a (washed) Celery Stalk which usually has plenty of leaves on it. Put that leafy Celery along with a couple of stalks which have also been washed and cut up. Add some herbs such as Parsley, fresh Bail and Oregano and whatever else you like. Cover everything with Cold Water up to within a couple of inches of the top of the pot. Set on a medium/high flame until the liquid starts simmering, then turn down the flame to low. 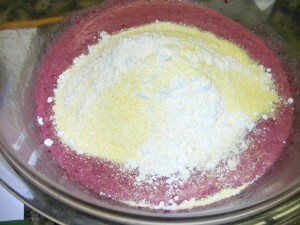 Allow this mixture to simmer all day or until you have the desired strength of flavor that you want. Once the cooking period over, move the pot to a cold burner and allow it to cool until you feel that you can handle it safely. Place a large Colander over a large Vessel (large pot or huge bowl and pour the cooked stock through the Colander into the Vessel. 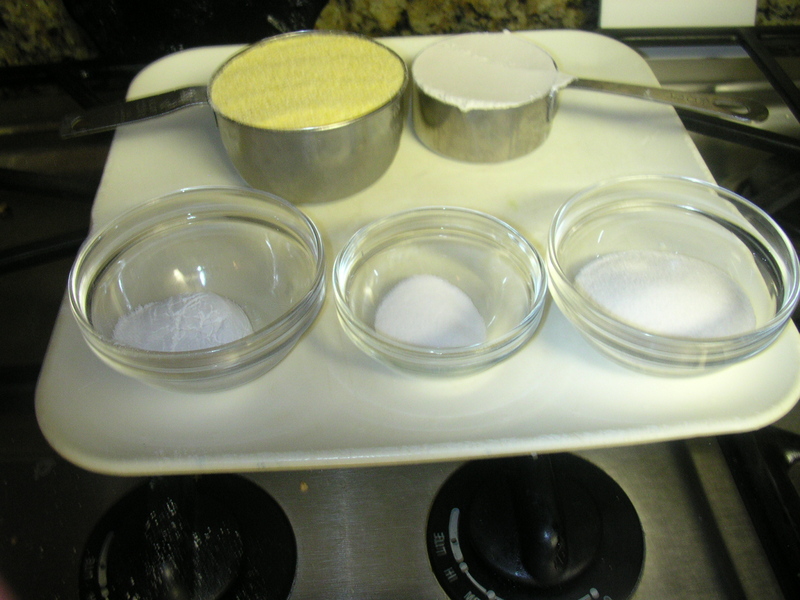 Use the finished stock for Soup right away or pour into smaller containers and freeze until you are ready to use. This stock will be great for Soups, Stews or Poultry Gravy. I usually use the stock to make a superb Vegetable Soup which is great for Cold Weather Dining. 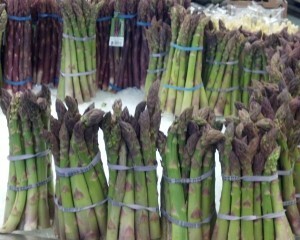 Your needs and taste buds will direct to use this Stock for your own special purposes. When I was teaching Foods Classes in High School, the students didn’t mind stripping off the meat from the carcass which we then used to make Turkey Ala King or Turkey Salad or Mac and Cheese with Turkey. Stripping off the meat takes a little bit of patience which probably most of us don’t have but if you have a couple of Kids around (over the age of 10) who wouldn’t doing it you can stretch that turkey even further you could have imaged. Sorry there is no photo here – for some reason I was not able to post a new one. Will render the situation as soon as possible. Thanksgiving is on the horizon and many families will be busy preparing food and enjoying it with their loved ones. If you love to cook and even if you don’t but are going to be cooking listed below are the links to some delicious recipes that you may enjoy for your Thanksgiving Meal. Take a look at them and then try out one or two or three or all. When you do, please let me know how you, your family and friends enjoyed them. CREAMED SPINACH – Spinach is one of my favorite Vegetables and this version is delicious, even for non-Spinach lovers. 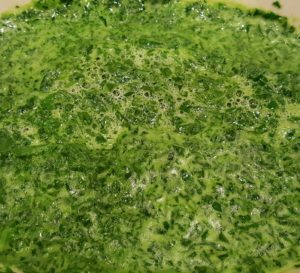 It is also versatile and can be turned into a Creamed Spinach Soup just by adding some Vegetable Stock and a little more Cream or Milk. A great recipe for Thanksgiving and the days beyond. CURRIED FRUIT STUFFING – a little different twist on Thanksgiving Stuffing – the Curry and Fruit give your stuffing additional flavor in a delicious way. 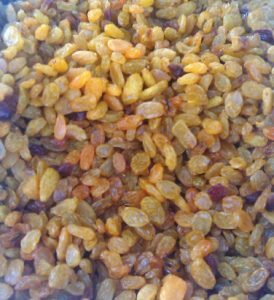 This recipe uses Traditional Stuffing Ingredients with the addition of Apple, Apricots and Golden Raisins or whatever you wish to use plus Curry Powder. 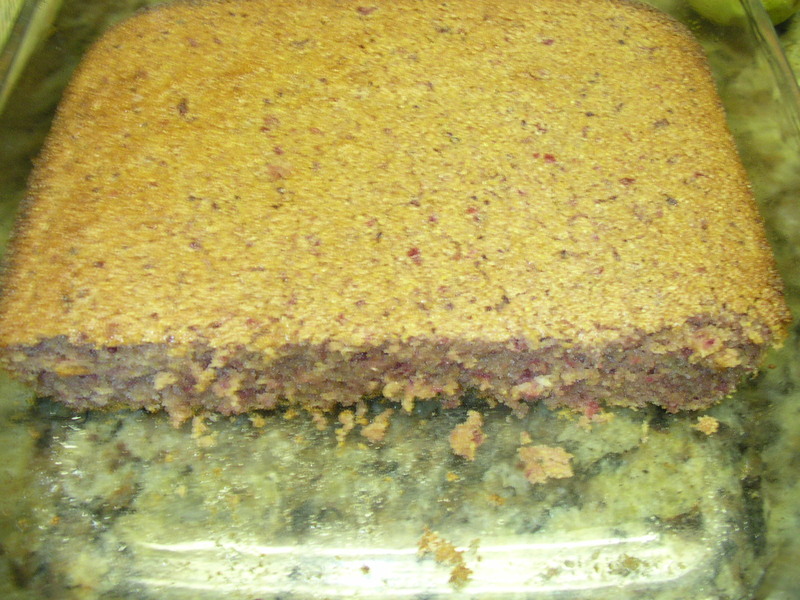 It is delicious and quite tasty with the addition of the fruit. This dish can be cooked in the Microwave or baked in the Oven. TURKEY FRITTATA – this is a great dish to use most any kind of leftover – it is an omelet made with Onions, Potatoes, Tomatoes and Cheese as well as the leftover Turkey. A Frittata is good for Breakfast, Lunch or Dinner. TURKEY CROQUETTES – these are made with leftover Turkey, Onions and a smattering of other Vegetables – they are breaded and then fried and served with Remoulade Sauce. TURKEY POT PIE – made with leftover Turkey, Vegetables and a Rough Puff Pastry or purchased Puff Pastry if you prefer. Great for leftover Turkey, Chicken or whatever else you have. Serve with a Salad and you have a complete meal. Below are the directions for the common method of roasting your turkey. Following is the overnight method. I have done the overnight method for over 20 years and the turkey comes out juicy, tender and delicious. An added benefit is that you don’t have to rush to get the turkey in the oven on Thanksgiving morning. One note though, this method is good if you are going to have an early dinner, say by 3 PM. If your Thanksgiving Dinner is going to be in the evening, then follow the traditional method. Also, most recipes will tell you to roast the turkey with the breast side up – if you do this whatever fat and juices (and there won’t be much) will drip down to the bottom of the bird and into the pan. If you roast your turkey, breast side down, the juices from the dark meat (and there will be plenty) will drip into the breast. Just turn it over 1 hour before completion to brown the skin. Remove giblets and wash turkey inside and out. 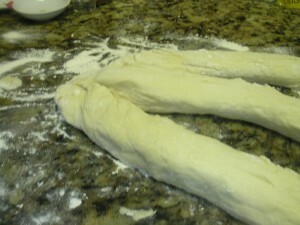 Rub with Olive Oil or Butter and a combination of sage, white pepper and paprika (garlic optional), inside and out. Stuff if desired. 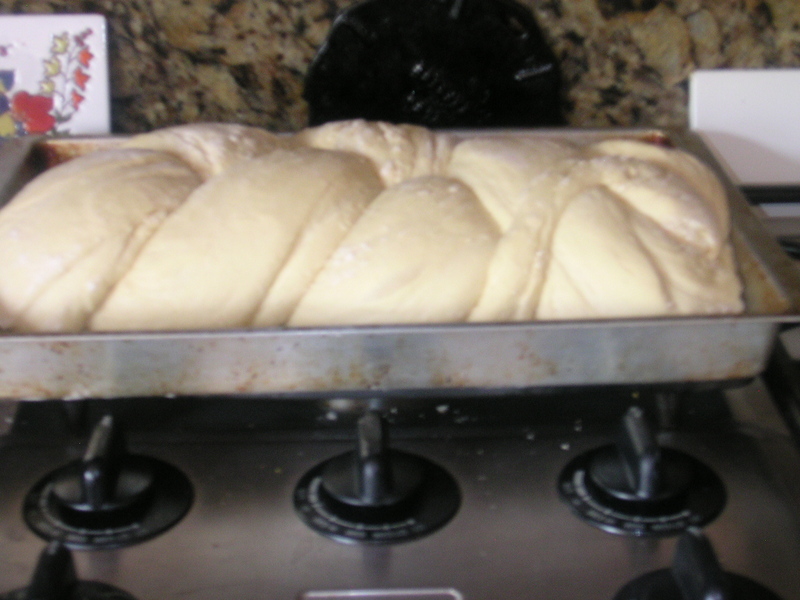 Close the openings to keep stuffing from falling out. Truss turkey by tying together the legs and wings. Place on roasting rack in pan, breast side down. Roast at 325 degrees according to the time table on package. One hour before it should be done, remove from the oven and turn the turkey over, breast side up. Follow directions 1 through 5 above. 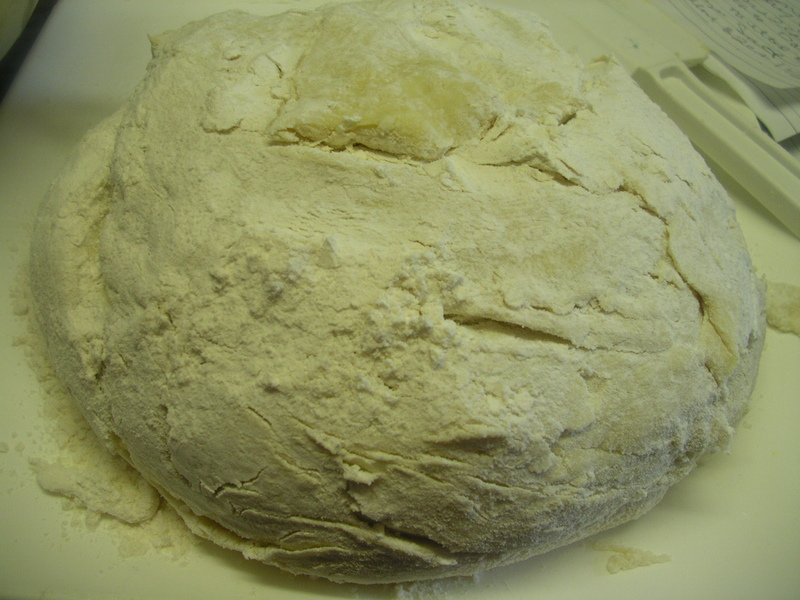 Place in oven set to 200 degrees just before going to bed. (Preferably, not before midnight. 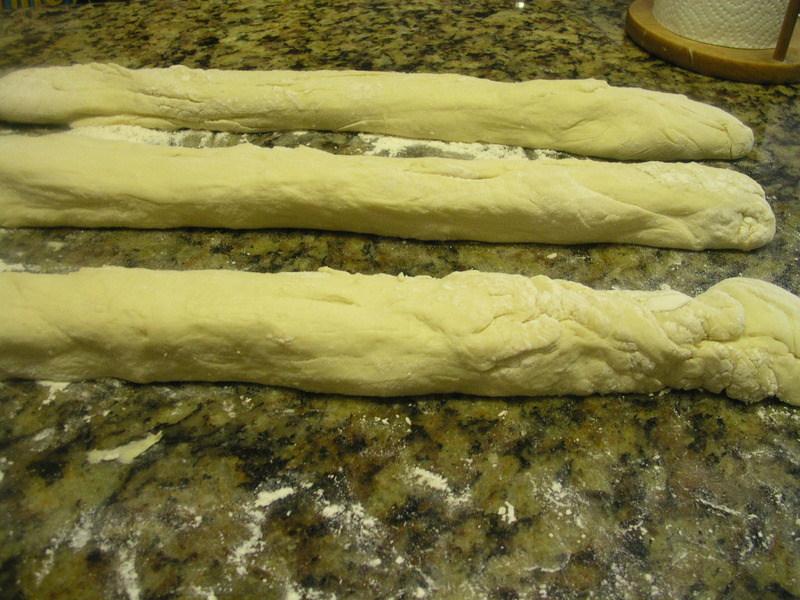 About 1 ½ hours before serving time, increase the oven temperature to 350 degrees and follow steps 7 through 9 above. 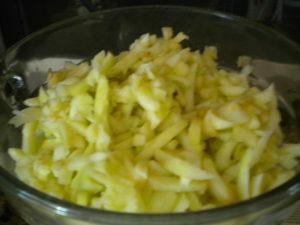 You can also add a peeled and chopped apple, a little curry powder (about 3 Tbsps. 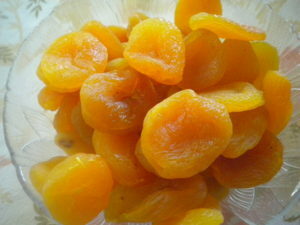 ), raisins or nuts and a couple of beaten eggs. 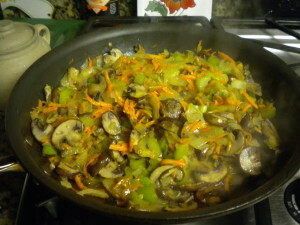 Do not add any liquid as the dressing will absorb moisture from the vegetables and the turkey. DO NOT PUT THE STUFFING IN THE TURKEY until you are just ready to cook it. Thanksgiving in the United States is a family holiday that is usually celebrated with a huge Turkey Dinner. Although Thanksgiving Celebrations occurred sporadically since the Pilgrims first Thanksgiving, it wasn’t until President Abraham Lincoln declared the last Thursday in November to be the official National Holiday. In 1939 President Franklin Delano Roosevelt declared the fourth Thursday in November to be the official Thanksgiving Holiday. Before 1939, it was on the last Thursday in November and it was suggested to him, that if it was officially on the fourth Thursday there would be more time for Holiday Shopping and thus help to improve the economy which at that time was not very good due to the Great Depression. The history of Thanksgiving in the United States goes back to the Mayflower Pilgrims, but the actual tradition goes back to ancient times to the Druids in Ireland. Societies all over the world and back into prehistoric times have always given thanks for a good harvest. 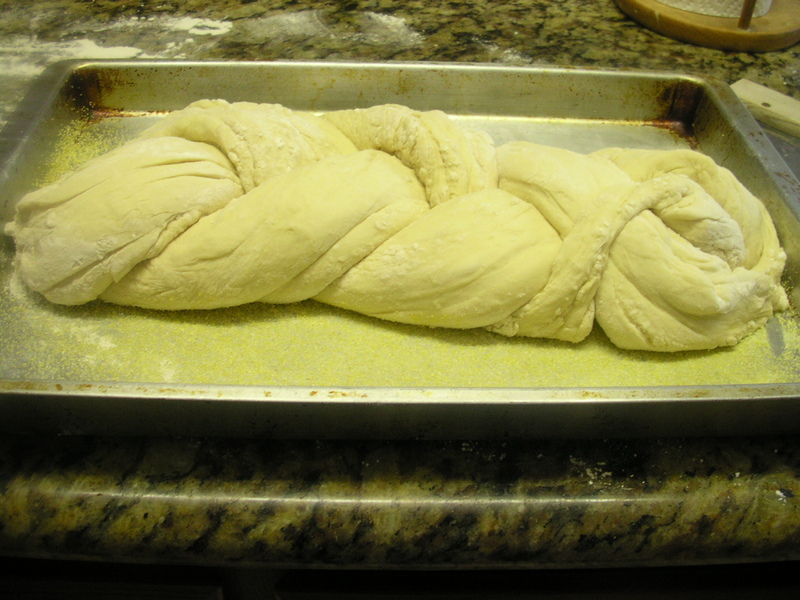 In Jewish tradition, Sukkoth is celebrated shortly after the Jewish New Year. Our tradition of Turkey dinner goes back to the first dinner that the Pilgrims celebrated with the Indians. Wild turkeys were plentiful at that time and that was one of the many protein foods that were eaten during the first Thanksgiving. Most of us have our family traditions which include not only Turkey but Sweet Potatoes, Pumpkin and Cranberries. Even though most of us will probably have the traditional turkey and dressing some of you may like to make it a little different this year. This year, for the first time in 125 years (the last event like this was in 1888) the first day of Chanukah falls on Thanksgiving. Because of this dual event, many families will be celebrating both holidays with food that may be somewhat untraditional for both holidays. In our family, Sweet Potato Latkes (pancakes) are going to replace our usual Sweet Potato Casserole which is really very good. 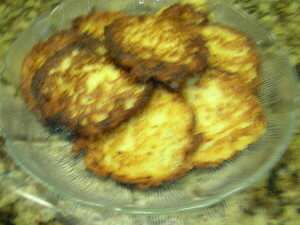 What I am going to do is take the flavors from our usual casserole and incorporate them into the Latkes. Other families will probably make the traditional Potato Latkes, but we do like our Mashed Potatoes and Gravy on Thanksgiving. Pictured below are Apple Latkes; the shape and texture are the same as Sweet Potato but the color is different. The method of making is the same. Most of the recipes featured here are traditional, but with a slightly different twist from the original. The traditional Roast Turkey is on the menu but with a not so traditional Curried Fruit Dressing. Instead of candied yams try a Golden Squash Jubilee made with banana squash and dried apricots; for color contrast make fresh Creamed Spinach in minutes with the aid of your Food Processor and Microwave Oven. 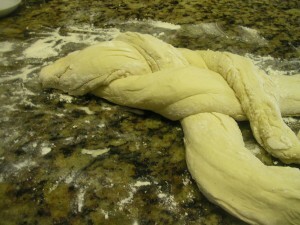 For the bread make Pumpkin Yeast Biscuits and instead of Pumpkin Pie, try a French Apple Tart made in a Pecan Crust. You have all the traditional items in this menu, but made just a little differently for a surprising taste twist. The turkey is present with a traditional bread stuffing made not so traditional by the addition of dried fruit and curry powder. The orange vegetable in the form of squash (yams or pumpkin may be substituted) are present and so is the traditional pumpkin, but in the form of biscuits. The Thanksgiving pie is also present but made with apples, a fruit favored by more people than pumpkin. Add your own choice of appetizer and condiments and you will have a Thanksgiving feast that your family and guests will not only remember for years, but will request repeats of, over and over again. Autumn and Winter Holiday Dinners call for Cranberry Sauce. Either you will purchase canned Cranberry Sauce or make it yourself. There was a time when the only Cranberry Sauce I liked was the canned jellied kind, even when my Mother made her own whole Cranberry Sauce. Well, I finally grew up and my taste buds did too. 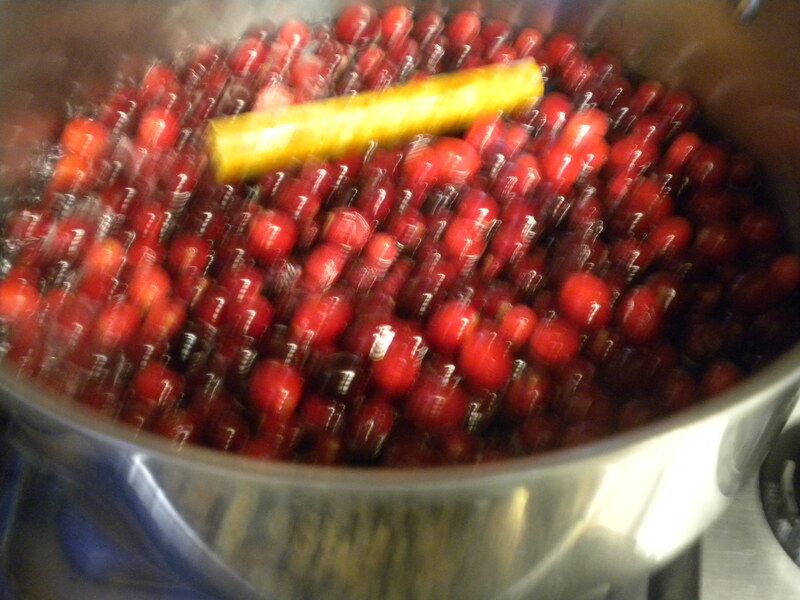 The only Cranberry Sauce I eat now is the homemade whole variety. 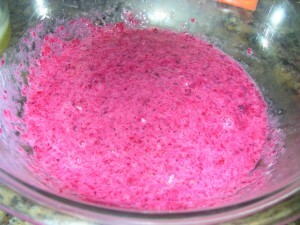 My Cranberry Sauce is very tasty since it is made with Wine, Vanilla Bean and Cinnamon Stick. But once the holidays are over and you are cranberried out, what do you do with what is left over if there are any leftovers. The other night for dinner I was thinking what to serve in place of potatoes with the fried shrimp that I was making when I remembered the Cranberry Sauce that was sitting in the back of the refrigerator. 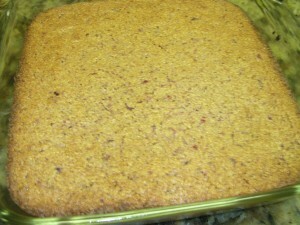 The resulting recipe was Cranberry Sauce Cornbread, something that I have never seen. 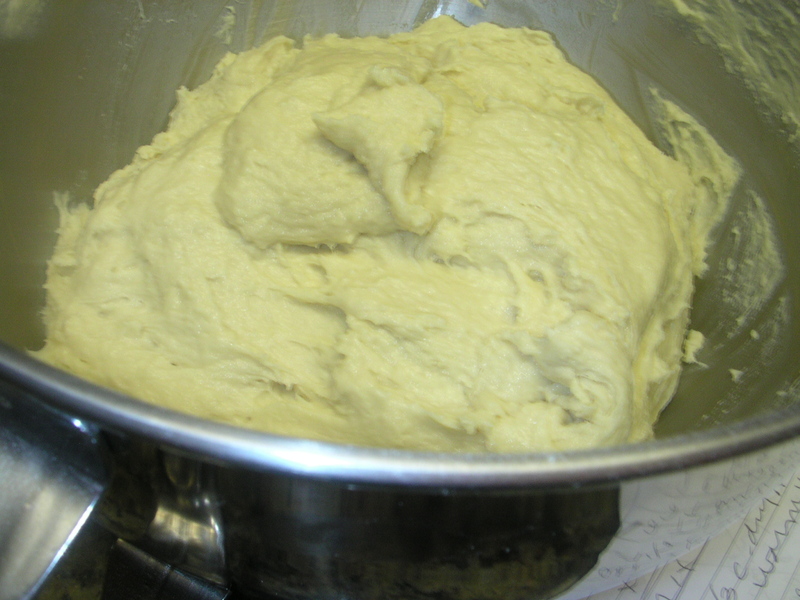 color to the cornbread. 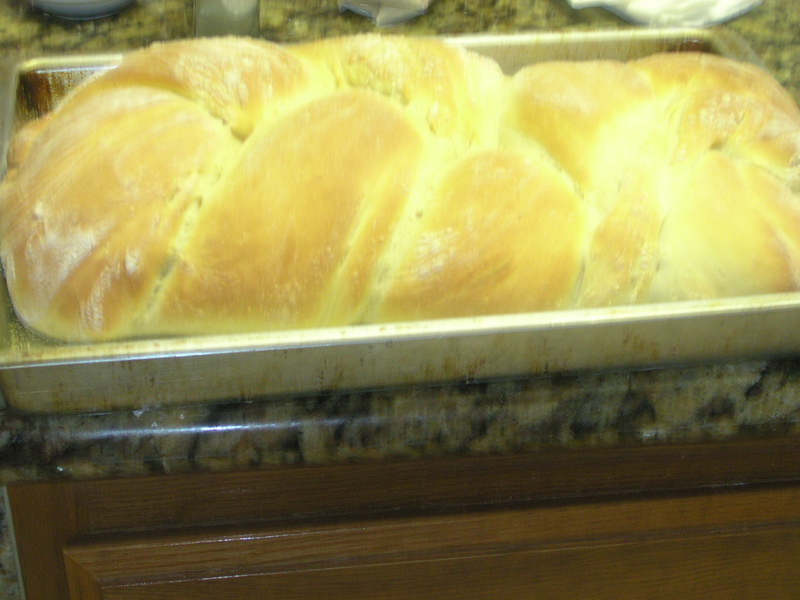 It also is very tasty and it gives the sensation of actually eating the cranberry sauce right along with the bread. The first thing that I did was to puree the Cranberry Sauce in the Food Processor which was fitted with the chopping blade. 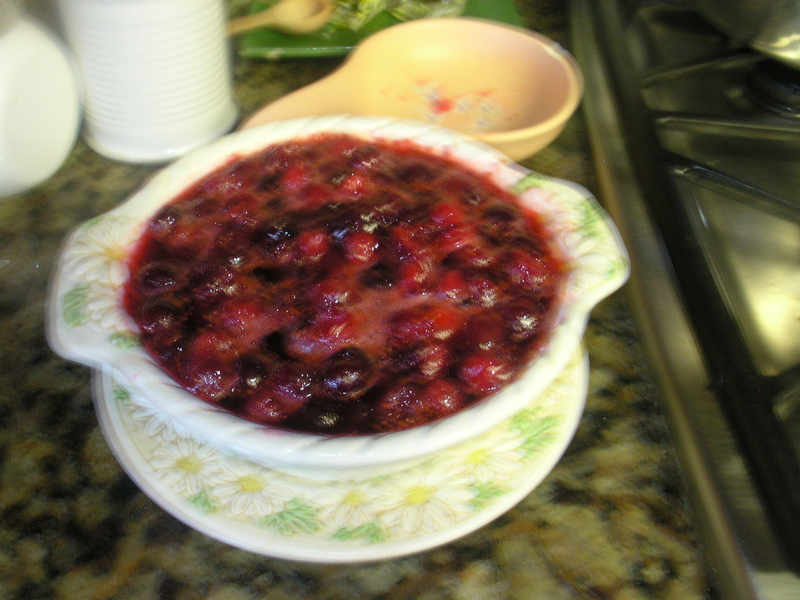 The Cranberry Sauce does not have to be thoroughly pureed. 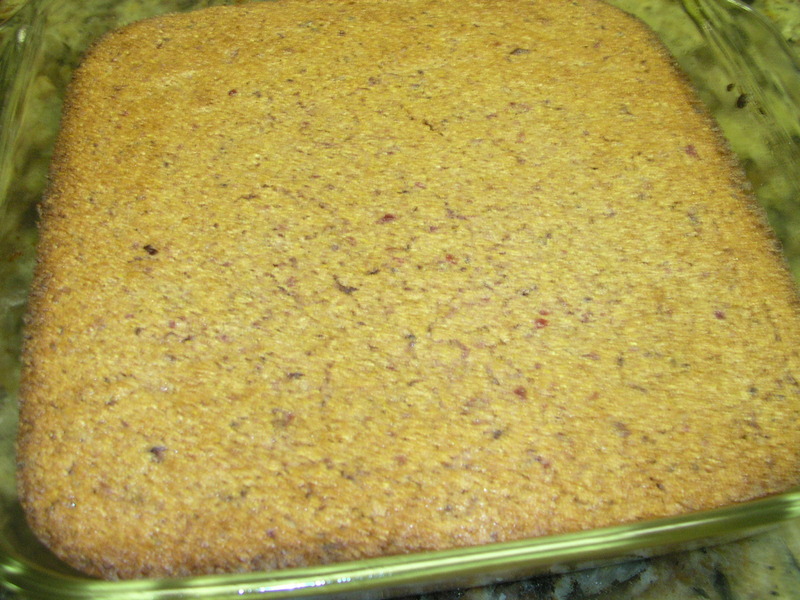 It adds some texture variation when the Cranberries are just chopped. The Dry Ingredients measured out per the recipe. They are listed from top left to bottom right in order as described below the photo. 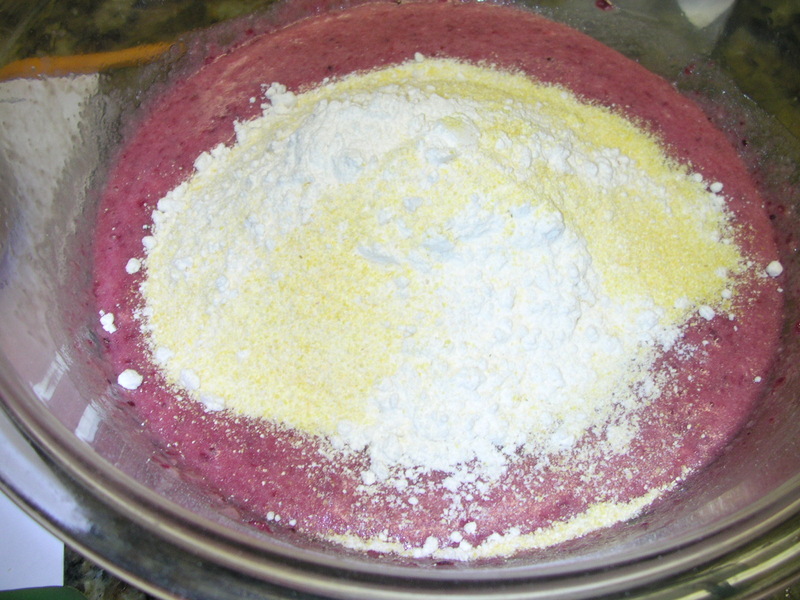 The Dry Ingredients mixed together in a Mixing Bowl. 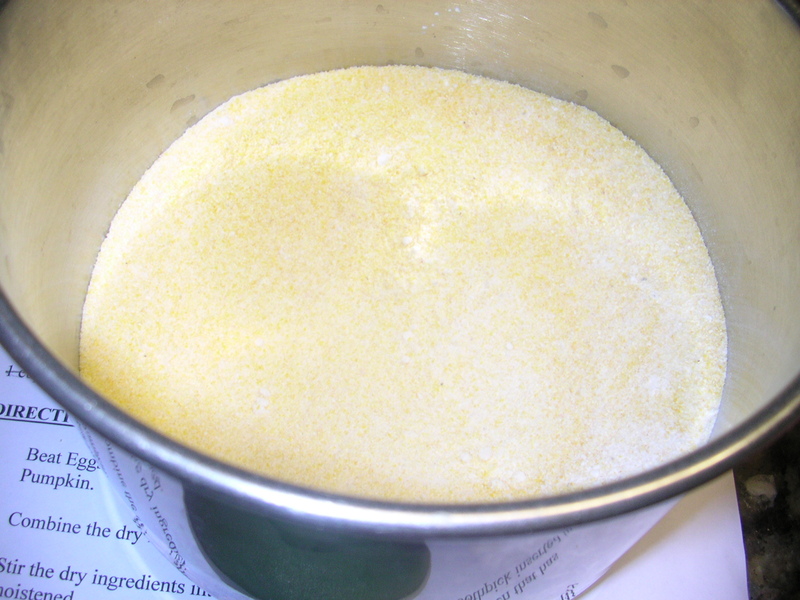 In this photo the Cornmeal, Flour, Baking Soda, Salt & Sugar have been mixed together in a mixing bowl. If you don’t want your cornbread too sweet, you can leave out the sugar in the recipe. 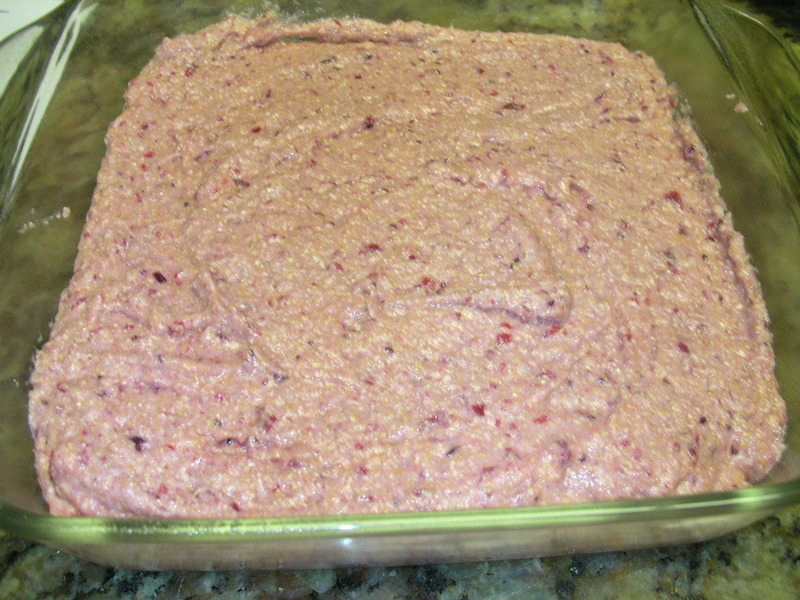 The Cranberry Sauce being used has plenty of sugar to sweeten the bread with. 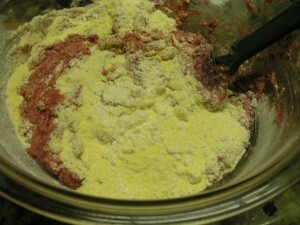 Here the mixed Dry Ingredients have been added all at once to the Cranberry Mixture. 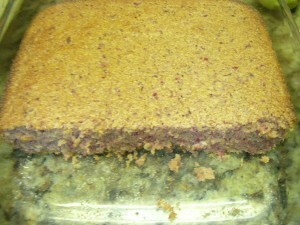 The Cranberry Batter in a greased 8 x 8 inch baking pan. 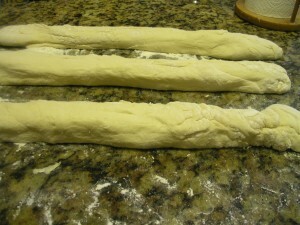 Baked at 375 degrees for 35 minutes or until a toothpick inserted in the middle comes out dry. If you are a frequent visitor to this blog, you will have noticed that I don’t like to throw away leftovers and have fun turning them into something different. Sometimes it takes a little imagination and creativityand maybe a little work, but believe me, it is well worth the thought and the effort! Almost everyone makes Mashed Potatoes for Thanksgiving Dinner (and other dinners) and probably almost everyone has leftover Mashed Potatoes. 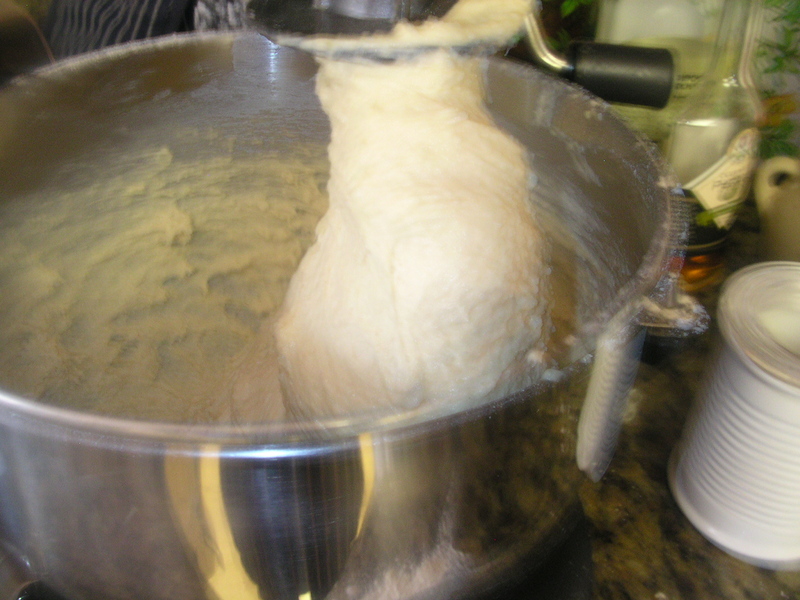 You can just heat them up and eat them with another meal, but if you are tired of doing that there are several things that you can turn your mashed potatoes into. 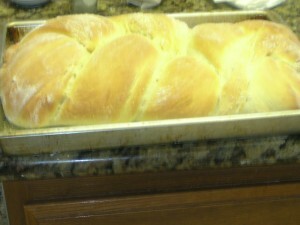 These include Potato Pancakes, Shepherd’s Pie (mashed potatoes serve as a top crust), Waffles or Potato Bread. This article deals with the latter. 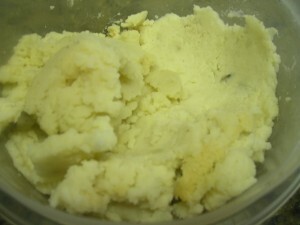 Left over mashed Potatoes in mixer bowl. 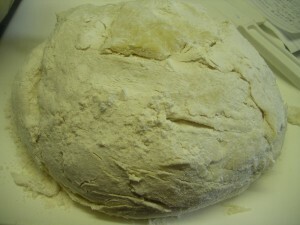 The final rising takes about 45 minutes. 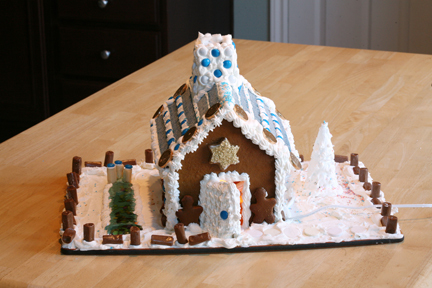 This is the time of the year when Gingerbread House Construction occurs. Making your own Gingerbread House can be rewarding, but it can also be frustrating unless you have some guidelines to follow. 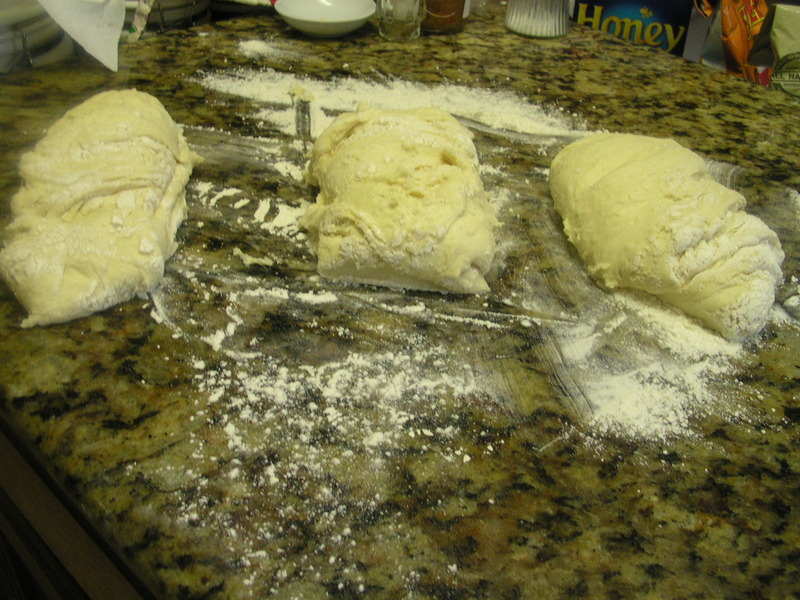 Guidelines are suggested to help with your baking, constructing and decorating endeavors. 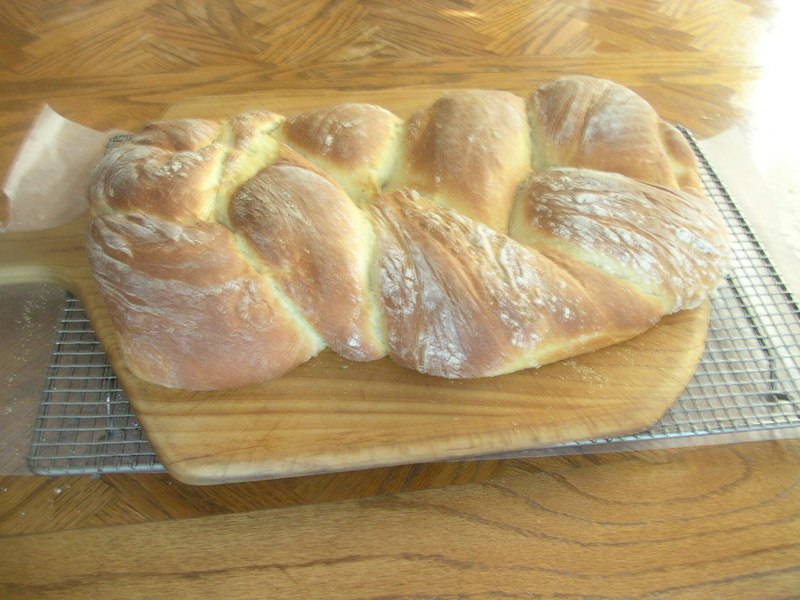 For gifts that say ‘I Love You’ try making food items to give to your closest friends and relatives. 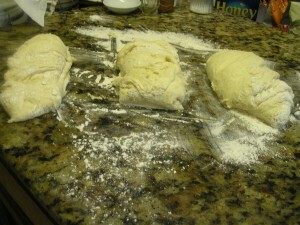 Cookies, jellies, muffins and/or fresh herbs can be used.